Growing up in New England, Jon Fortes was fortunate enough to experience and enjoy some of the freshest seafood in the country. In high school, his love of “all things from the sea” inspired him to explore the culinary field which eventually took him to the prestigious Johnson & Wales in Providence, Rhode Island where he earned an Associate’s Degree. Fresh out of culinary school, Jon was introduced to Executive Chef John Caputo of the acclaimed Napa Valley Grill in Providence, Rhode Island. It was here that Jon perfected his craft for three years before moving on to Wolfgang Puck’s Orlando, Florida restaurant, “The Dining Room” where he worked as a Sous Chef. His creative skills at Puck’s were noticed and he was soon moving north to Chicago, where he accepted a position as Chef de Cuisine with Bin 36. After spending 3 years at Bin 36, where he was able to “fine tune” his palate for both food and wine, Jon accepted the position of Executive Chef at Lindey’s in Columbus, OH, consistently one of the top ten restaurants in the area. Eventually, his work brought him to the Charlotte-based Harper’s Restaurant Group where he served in multiple positions, most recently as Executive Chef for Zink. American Kitchen, the award-winning Mimosa Grill and Upstream Restaurant. 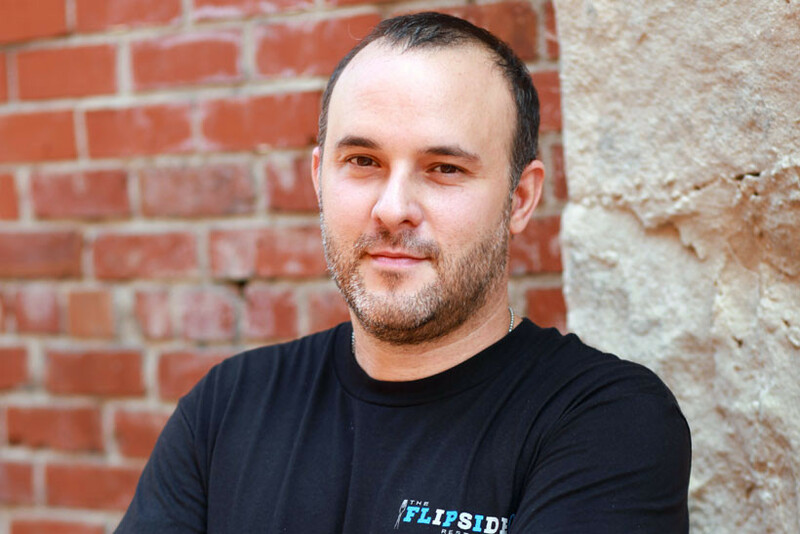 Jon and his wife Amy now own and operate The Flipside Restaurant Group, Kumpfortes LLC. Consisting of the Flipside Café in Fort Mill SC, The Flipside Restaurant in Rock Hill SC and the Flipside Catering CO. Most Recently Jon has won both the 2013 and 2014 “Fire in the City” Competition Dining Series and the NC State Competition Dining Series in 2014. Jon lives in Fort Mill with his wife Amy and is the proud father of Brennan and Dylan.